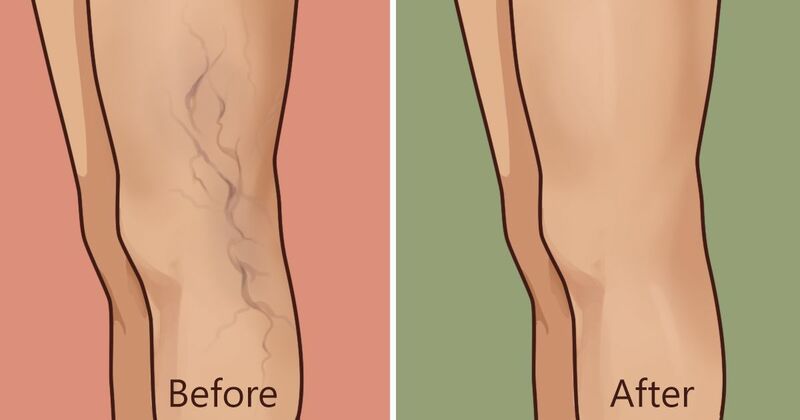 Varicose veins: though often harmless in of themselves, many find them unsightly and might feel self-conscious as the season for bathing suits and shorts draws near. But vanity aside, they can also cause minor irritations such as swelling, itching and calf pain, according to WebMD. While surgery and a few non-invasive medical techniques are available to treat varicose veins, there are risks involved with any medical procedure. One popular natural remedy is witch hazel. The natural astringent helps ease swelling and pain while also strengthening the veins. Wrap the affected area with a soaked washcloth three times a day, or soak your legs in a tub of warm water and 10-20 drops of witch hazel. Do this for two months. Apple Cider Vinegar is a favorite for many home remedies, and its use for varicose veins is no exception. Since the vinegar is a strong detoxifier, it helps improve the body’s circulation. Once a person’s circulatory system is working properly, the varicose veins should clear up. Drink two tablespoons of ACV in a glass of water twice a day. For a dual-pronged attack, massage your legs with diluted apple cider vinegar to reduce the appearance of varicose veins in the leg. Here's another reason to stock up on some fresh parsley. Not only is it high in vitamin C, which helps in repairing damaged cells, it is rich in rutin, which can strengthen the weakened capillary walls that cause varicose veins. Eat as much as you can, but you can also apply it topically as a salve. Cayenne Pepper has a long history of use as an herbal medicine and convention studies are catching up. It is high in vitamin C, but the capsaicin that gives it its spicy flavor has also been shown to improve circulation by lowering blood pressure, according to Live Strong. To take advantage of this incredible spice, drink one teaspoon in a warm cup of water three times a day. Researchers at the University of Cape Town have shown garlic to have anti-inflammatory and immune-boosting effects. To ease the symptoms of varicose veins, Top 10 Home Remedies recommends increasing garlic in your diet as well as making a poultice that can be applied directly to the affected areas. In some cases, varicose veins can be a symptom of a more serious condition. Consult your doctor if you are concerned. Chances are when you had your cup of coffee this morning, you threw out the grounds like yesterday’s old newspaper. The truth is, several in-home treatments require ingredients that many of us have in our pantry. While most moles are not a cause for concern, many people want them removed because they simply do not like the way that they look. Migraine headaches can be debilitating, but overuse of pain pills can also have long-term negative effects.